Every evening, the musical comedy actress Violetta Farjeon stopped the show in the original production of Sandy Wilson’s comic pastiche of 1920s entertainment, The Boy Friend (1954). She played the French maid, Hortense, who put all she could into the song It’s Nicer in Nice. From the moment she first appeared on stage with a telephone receiver in one hand and a feather duster in the other, audiences loved her. Her father was English, her mother a French concert pianist. She spent her childhood in a village in the Pyrenees, before studying music at the Paris Conservatoire. On the outbreak of the Second World War, her parents were in Britain, so she fled to Nice from where she caught the last coal ship leaving for Tangiers. In time, she arrived in London during the Blitz, aged only 16. She joined the Free French Army, which organised and supported the Resistance in occupied France and also had a stirring effect on morale throughout France and its colonies. She became involved in Forces entertainment, determined to make the stage her career despite her lack of experience. She made her professional debut in 1947 in Late Joys, the ersatz music hall shows staged at the Players’ Theatre underneath Charing Cross station. 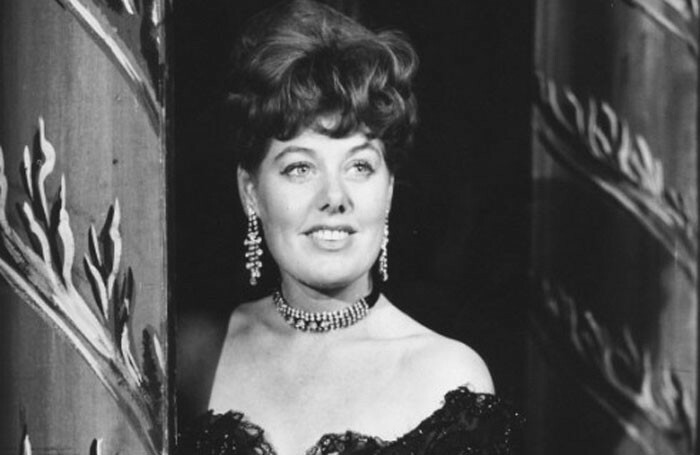 She specialised in suggestive songs, many of them written for her by the comedienne Hattie Jacques. The Boy Friend enjoyed a trial run at the Players before transferring to the Wyndham’s Theatre, where it ran for five years. While it was still playing, Farjeon took a small role in the film The Prince and the Showgirl, starring Marilyn Monroe and Laurence Olivier. In The Boy Friend’s sequel, Divorce Me, Darling! (1965), she again brought the house down singing Paradise Hotel. She continued appearing at the Players, especially in pantomimes, in which she was seen until she was 75. Violetta Farjeon was born on September 27, 1923, and died on July 16, aged 91.